There’s a new ski trip search dynamo out there, and SnowTrax is the name it goes by. For refined ski vacation search, there may not be a better example on Earth. But, and there are always “but’s”, corporate lip service social engagement will never do for any new tech startup. On the consumer Web, there is no room for slip ups when professing social media kinship. 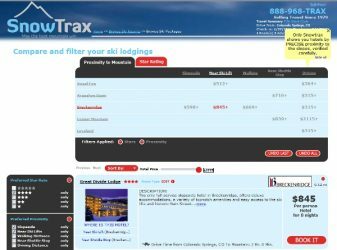 Aside this flaw, SnowTrax has a foot in their skis for flawless ski vacations.